Recently I had the rare – and accidental – opportunity to do a “vertical” tasting after buying two bottles of wine at Costco. 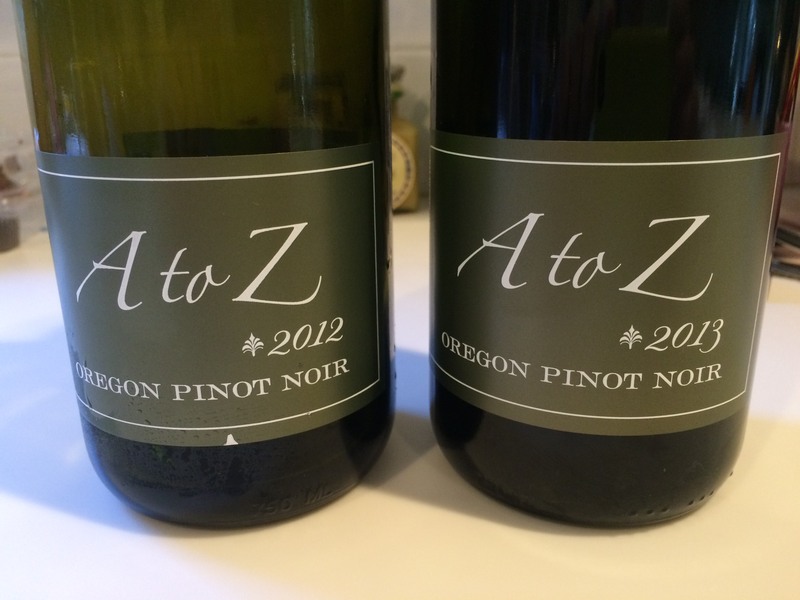 In the store, I wasn’t fully paying attention, and after arriving home, I learned that I had one each of the 2012 and 2013 vintages of the A to Z Pinot Noir. 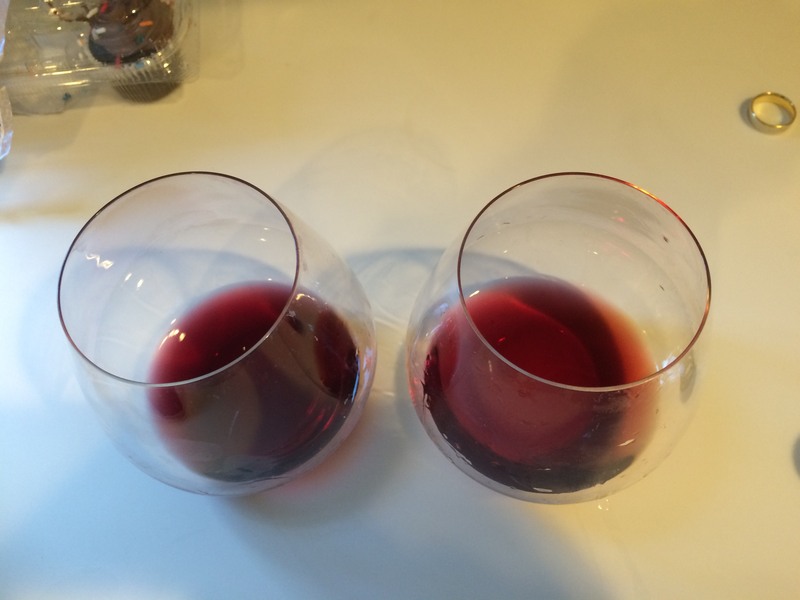 The two wines, while similar, had some clear differences. The 2012 was more traditional Oregon Pinot in quality. It had a pleasant cherry nose, followed by a lightly acidic (taste) – as expected – but softened over time. As I’ve purchased it about a dozen times, this wine has been extremely consistent – thanks in part to the screw top and Costco’s supply chain quality. On the other hand, the 2013 surprised me in a positive way, and behaved more like a California Pinot Noir in initial and overall taste profile. There was much more fruit, which proved to be a far more pleasant wine to drink without food. All is relative, though – this is not a “jammy” Syrah varietal, nor a more rich, woody and higher alcoholic content Zinfandel. As seen in the photo, the color is clearly lighter – more ruby red than darker purple. The only downside of the 2013 is that it began to break down sooner – the 2012 was a better (more composed) wine after being open for a few hours. So in summary, for $15.99, this wine is a great bargain. Both versions are equally good in their price range. But if given the option, I would choose the 2013.